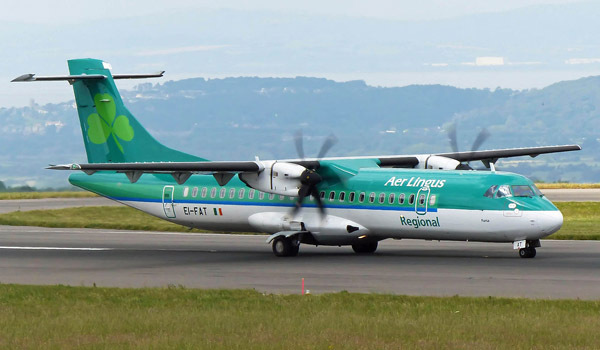 Aer Lingus Regional, operated by Stobart Air, launched a new route from Dublin to Newquay, Cornwall in the UK. The new route is Ireland’s only direct flight to Cornwall, and brings to 27 the number of destinations served by Aer Lingus Regional for the summer season. Initially there will be three flights per week – Monday, Friday and Saturday – increasing to five flights per week in June – Monday, Thursday, Friday, Saturday and Sunday. Demand for the Cornwall flights has been high since announcing the new route and the airline expects this to continue, particularly for the busy summer season. Situated in picturesque South West England, the seaside town of Newquay is surrounded by almost 300 miles of beautiful Cornish coastland, picturesque fishing harbours, walking trails, spectacular beaches and great surfing. It’s also home to famous attractions including the Eden Project and Tintagel Castle. The new service to Newquay Cornwall is one of five new Aer Lingus Regional routes commencing in the coming weeks. By summer 2015, Stobart Air will operate 690 flights per week across 33 routes from 24 departure points throughout the UK, France, Germany, Netherlands and Ireland.